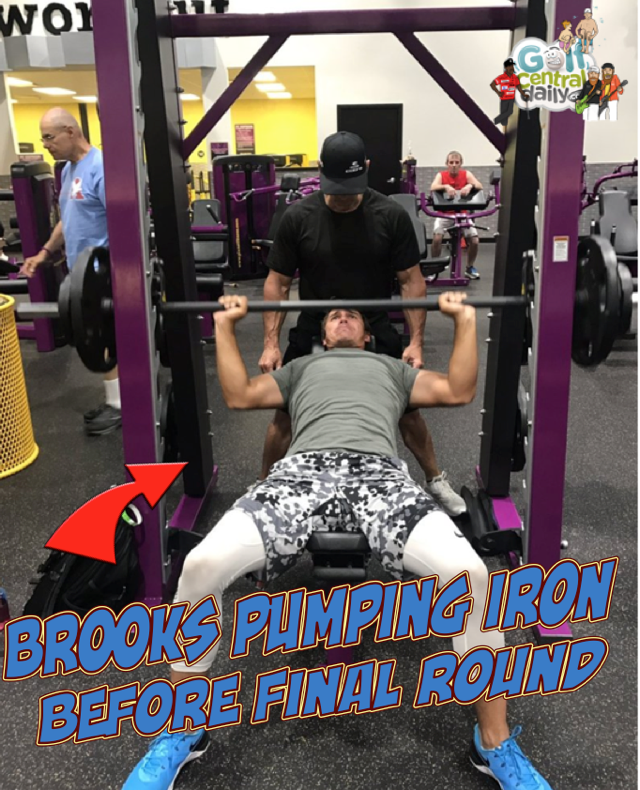 Hats off to swing coach Claude Harmon who snapped this picture of Brooks Koepka in the gym pumping iron on Sunday morning before his final round at the US Open!! Warning: That shorts/leggings combo cannot be unseen! Brooks Koepka with coach Joey D. That guy in the background isn't doing much! What a pic. This one of the engraving by Alan Shipnuck came a close second! !